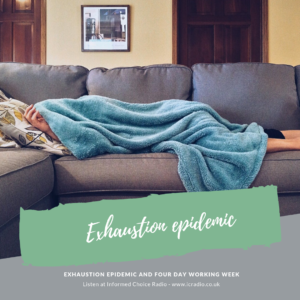 In this episode, why an exhaustion epidemic is sweeping the UK and how workers can look forward to a four day working week in the future, thanks to efficiency savings from improved technology. -Former prime minister Gordon Brown has warned the world is ‘sleepwalking’ into a new financial crisis. He claimed the world is currently ‘leaderless’ and entering a period of economic vulnerability. -New York has overtaken London as the world’s top financial centre, according to a new ranking. The Z/Yen Global Financial Centres Index shows New York taking the top spot for the first time since 2015. -Lloyds Bank has announced the closure of another 15 branches, resulting in 23 job losses. The branch closures will take place by the end of March 2019. -New research has shown the true effect that the government’s 30 hours free childcare scheme has had on hourly childcare costs. 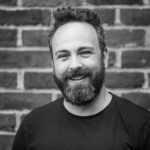 The research comes from Yoopies, one of Europe’s biggest online care platforms, and shows families using in-home care – such as nannies – have suffered compared to parents with children in funded preschool or nursery places. -With Pension Awareness Day taking place this Saturday, Fidelity International have analysed pensions pots finding a significant 11% gap between men and women’s future savings. Do you ever feel tired? I know I do. In my case, I put it down to the pressures of running two businesses, raising three children and having a wife who likes to wake up at silly o’clock in the morning. An increasingly important part of financial planning is wellbeing; not just financial wellbeing, which is of course a key part of what we do as financial planners at Informed Choice, but how we can contribute to improve the wellbeing of our clients in all areas of life. Tiredness and fatigue is a big issue, especially when it comes to work. This week we saw some new research which found more than one in ten working Brits have purposely taken a nap at work. Almost half of those surveyed regularly turn up to their job feeling too tired to work. It was interesting to see this week calls from the Trade Union Congress to introduce a four hour workweek. They published a new report looking at the future of work and it concludes that new technology could (and should) make it possible for people to work shorter hours and receive higher pay. Before you get too excited, this four day working week wouldn’t materialise until the year 2100, by which time I’l fairly sure I’ll be retired! But the report concludes that new technology like artificial intelligence and advanced robotics could make this happen. It’s because technological advances are set to boost UK GDP by at least £200bn in the next decade.